Watch our new Overview Video and Subscribe today to take advantage of our Jumpstart Your Practice bonuses! Learn more about our Jumpstart Your Practice and see the details of our new bonuses before you subscribe on our Pricing page. Simple & Affordable. HIPAA Compliant. All from One Source. When you join iTherapy, you’ll receive initial and ongoing training, our exclusive iTips newsletter, free business consultation, and access to our private online community. Looking for a Mental Health Provider? Simply select Find Your Counselor and we will help guide you through finding the best counselor for your situation. Serving as one of the longest leading providers in online counseling, iTherapy has connected those individuals seeking quality counseling services with the the trusted service providers they deserve, while also providing our network of providers with the tools, resource materials, and training they need to sustain a successful practice. While other online counseling platforms exist, our’s was built by practicing professionals for practicing professionals—and with a primary focus on enhancing the convenience and overall experience of those seeking counseling. We start by connecting quality providers with counseling service seekers via our website, and our array of tools & educational resources. I was told that you couldn’t make real money if you had your own practice. Well, all I can say is, ‘I wish I had started my practice sooner.’ I’m earning the money I need, doing what I love, and running my own schedule, all because I started my own practice. When I found out about iTherapy I was a few days from launching my practice. I cancelled everything and switched to iTherapy, because of their inclusive virtual office package (phone, fax, email), business coaching, and online platform that supported family/group counseling sessions. Without a doubt, iTherapy was a one stop shop for all of my business needs. A seamless one-stop-shop to owning and operating [an online therapy practice] independently. I spent a month crunching numbers to see if iTherapy was really a deal and I couldn’t find a way to run my practice any better or more cost efficiently than iTherapy. 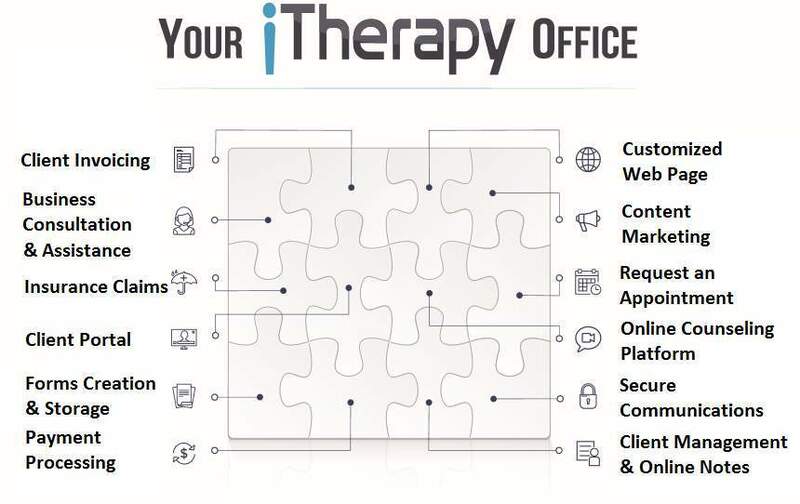 iTherapy is the way to go in terms of cost and service! I would highly recommend anyone considering adding teletherapy to their counseling practice reach out to iTherapy. They are extremely knowledgeable and professional. They have done great work in helping me with set up of my teletherapy practice. I’m so grateful for the convenience! Both for my clients and for myself! I’m really enjoying this program. It is so user friendly and clients who initially balk at it embrace it once they choose to give it a try due to inclement weather and bad roads. And my husband loves that I’m home one night a week and not coming out of a building in the dark late in evening. Thank you!! 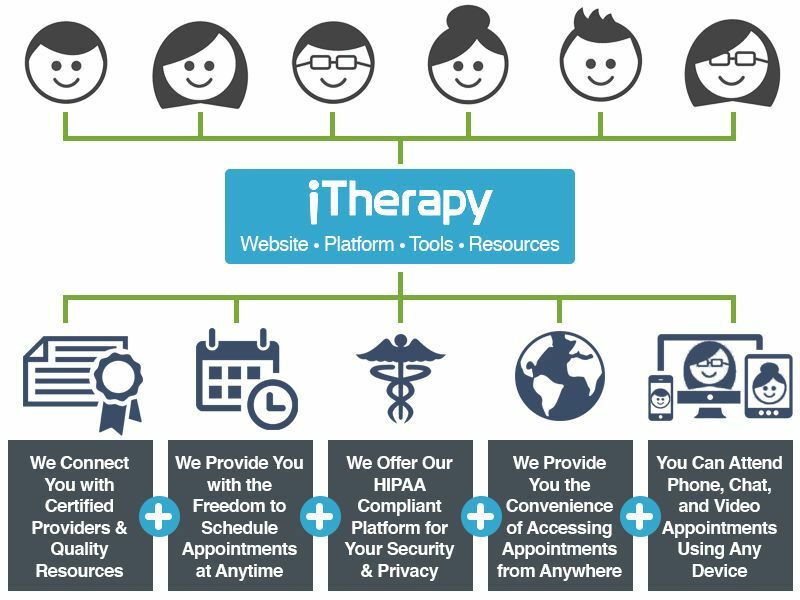 Whether you’re starting a therapy private practice or streamlining your existing counseling private practice, iTherapy makes it easy. You became a counselor to help people, not to run a business. With iTherapy, we make your practice easy. We have everything you need to run your practice – notes, invoicing, secure communications and more – accessible anywhere, all with one fixed monthly bill. We give you all the training and support you need. When you sign up with iTherapy, you’re not just getting the software you need, you’re getting access to our team and community. From day 1, you’ll receive training on how get the most out of iTherapy. With iTherapy, you’re in control. Unlike other sites, with iTherapy we put you in control. There’s no set client pricing – you set your own prices for your clients. There’s no set schedule – you decide when you’re able to see clients. We give you the tools you need so you can run your practice your way with ease. 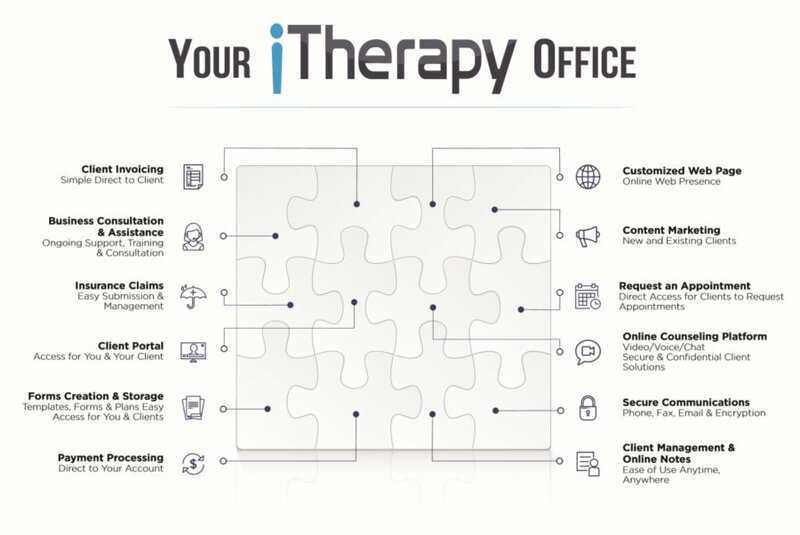 iTherapy – Your practice, made simple.